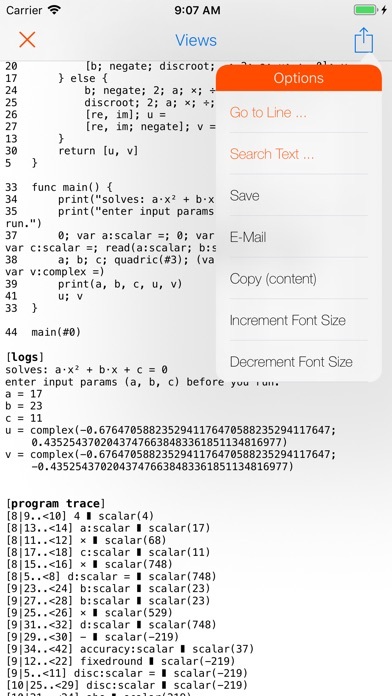 ProgCalc is very high precision (38 digits) programmable true-decimal calculator, providing Swift programming language interface to write complex algorithms, supporting scalar and non-scalar data types and operations. Non-scalar data types are comprised of complex, quaternion, n-dimensional vector, array, list, and hierarchical tuple. App Swift language is subset of standard Swift language tailored for numerical applications. 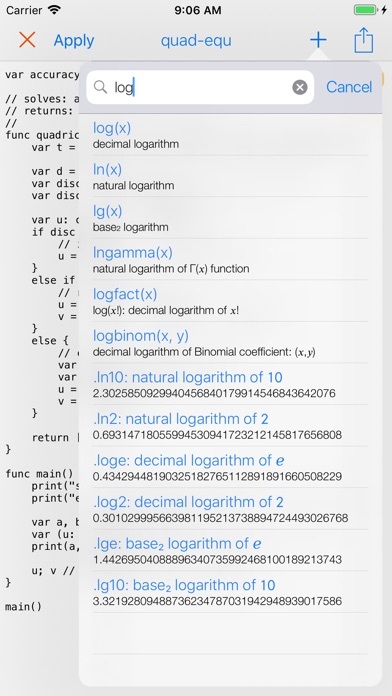 App includes 38-digit scalar math library comprised of well known transcendental functions: trigonometric, hyperbolic, logarithmic, and exponentiation, as well as many other less known useful functions: arithmetic-geometric mean, arbitrary precision rounding, mod operations, log/normal binomial coefficients, log/normal factorial functions, ceil and floor functions (towards -∞, and 0), and more. 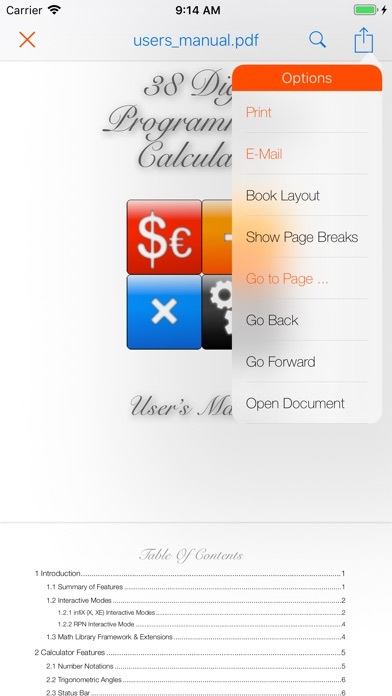 App document is included with the app ([2nd] key), and provides comprehensive description of all calculator features, language guide with examples and grammar, and more. ProgCalc user interface has three interactive modes (described in detail in app document): - Standard infiX notation — default - Fully editable infiX notation - RPN notation (RPN) You can switch between modes at device home screen by applying pressure gesture on app icon. On iPad devices you can use more convenient dedicated mode-switch keys. ** Using ProgCalc as Undecillion Financial Calculator ** ProgCalc can be used as 36+ digits financial calculator. 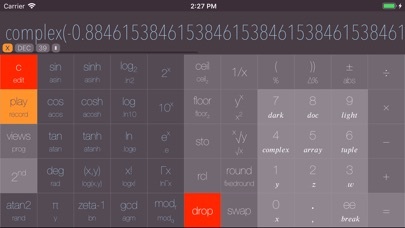 Just set number notation to FIN (tap on display and select FIN). 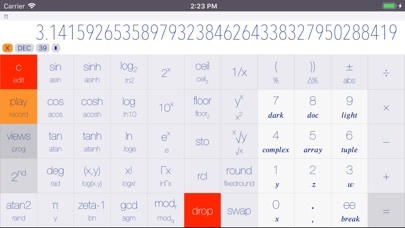 Then set precision to 2 digits (swipe calculator display from left to right). Then enjoy your all new undecillion financial calculator. Note: Even though released, iPad display screen is at preliminary stage. This app is ad-free and will always stay ad-free. This app does not use any third party software.